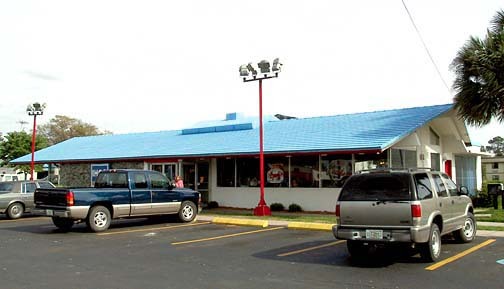 Dating from 1965, Lake City-North was built immediately along I-75 at its interchange with U.S. 90. 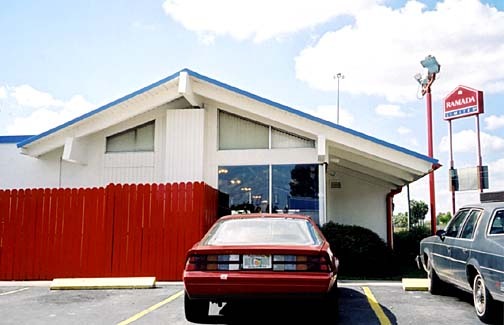 Its Restaurant was a very rare design. 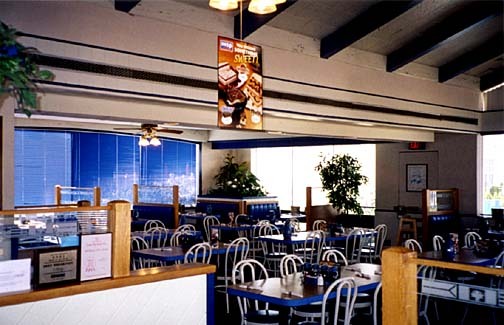 Long and sleek like the Nims-type, its design was a departure from the norm. 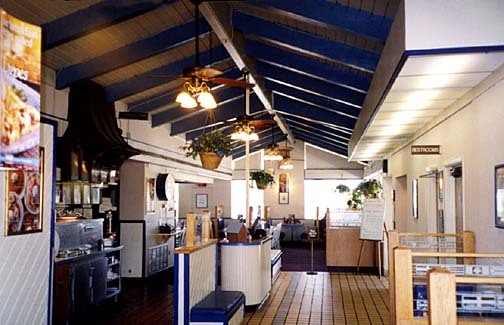 Featuring a beamed cathedral ceiling, its roof was "opened ended." 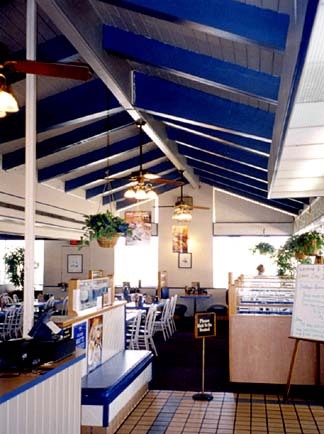 Even as the floor plan contained all of the familiar elements, the Company's architects experimented with the design by placing the restrooms and waiting area opposite the Dairy Counter. 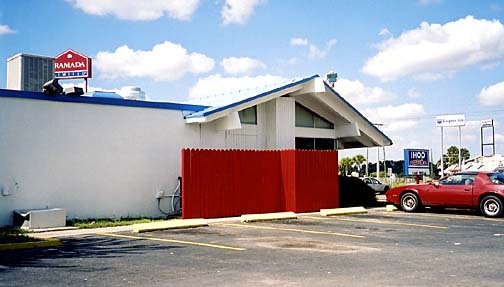 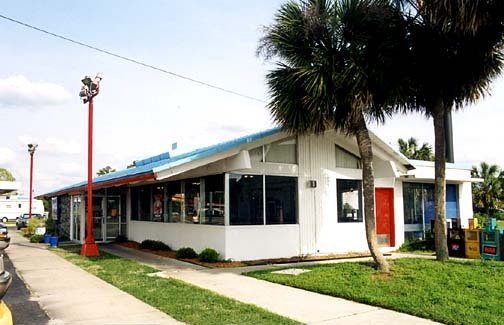 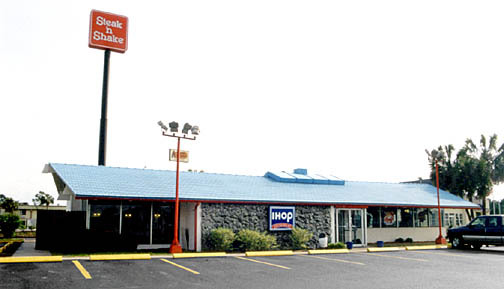 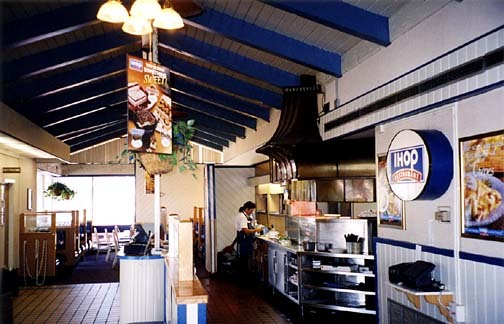 Converted into an International House of Pancakes, the former HoJo's roof was painted IHOP blue and received minor renovations. 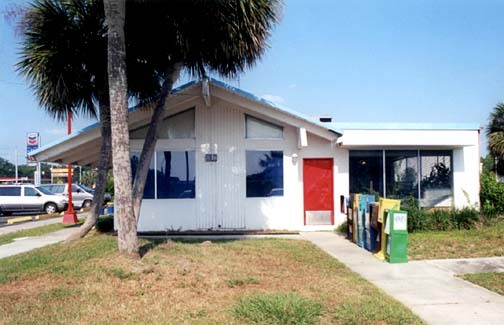 Of the handful of this type of building to have been built, Lake City-North is the last most complete example!